Arsenal beat Newcastle and make it 10 consecutive wins at home. Arsenal move third after they beat Newcastle and make it 10 consecutive wins at home. Just how much has Unai Emery turned things around? 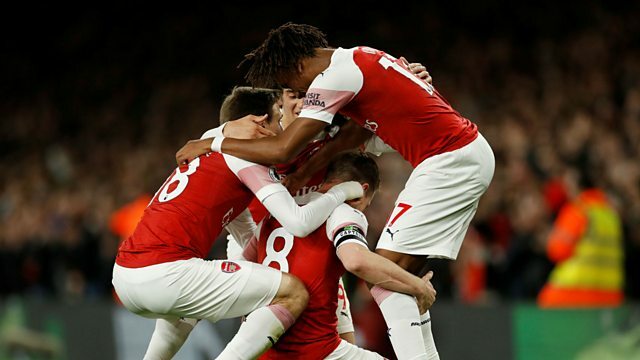 Mark Chapman is joined by Arsenal legend Ian Wright, former Premier League striker Chris Sutton, commentator Conor McNamara and James Olley from the Evening Standard. Plus, it’s tight at the top between Liverpool and Manchester City, but who can keep their nerve until the end of the season? Can Ole Gunnar Solskjaer keep Paul Pogba at Manchester United or will he be playing his football in Spain in the near future? And will poor refereeing decisions this weekend cost Cardiff a place in the Premier League next season?